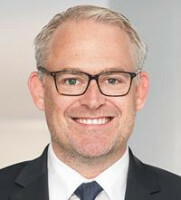 Peter Schramm is a member of Meyerlustenberger Lachenal Ltd’s IP team, which ranks among the leaders in intellectual property in Switzerland. He also heads the firm’s trademark and design group, which comprises lawyers from the firm’s Zurich, Geneva and Brussels offices. Mr Schramm’s practice covers a wide range of contentious and non-contentious trademark, design, copyright, patent, unfair competition law and other IP-related issues. He is well known for his trade dress and design law litigation expertise and has been involved in several leading cases in Switzerland and abroad. He advises domestic and international clients from various industries, with a strong focus on information technology, pharma, retail, luxury and fashion. Mr Schramm’s further professional activities concern the international fight against counterfeiting for his clients. He also has considerable experience in IP and IT strategy and transaction matters, as well as commercial contracts, such as licensing, franchising and distribution agreements. Mr Schramm is the author of several publications relating to IP law and is a frequent speaker on these subjects in and outside Switzerland. He is a lecturer on the training courses for the Swiss patent attorney examination at the Swiss Federal Institute of Intellectual Property and has served as speaker for the Academy of European Law, the European Communities Trademark Association, INGRES and the University of St Gallen.